Component specific materials for use in the exam room – What can we help you with? 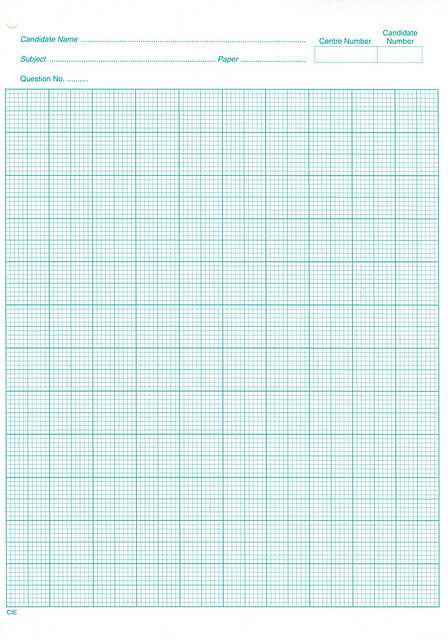 Paper ruled into small squares of equal size for use in drawing charts, graphs, or diagrams. Two sheets per candidate are provided for each exam that requires graph paper. These exams are listed in the Additional Materials database. Store safely and distribute before the exam starts. 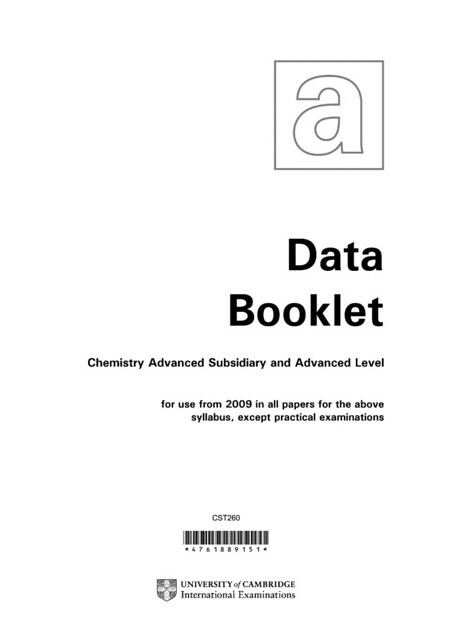 A reference guide for candidates taking AS/A Level Chemistry, containing important formulae and tables. One book to be issued per candidate. They can use annotated booklets up until the point of the exam. For the exam you must issue new, unmarked copies. The components that require the data book are listed in the Additional Materials database. Reference guides for candidates taking Mathematics or Statistics containing important formulae and tables are detailed in the relevant syllabus. One table per candidate for specific exams. Hand relevant copies out to candidates. They can use annotated booklets up until the point of the exam. For the exam you must issue new, unmarked copies. The components that require the tables are listed in the Additional Materials database.